Home|About the Whales|Why are whales here? WHY ARE THE WHALES HERE? 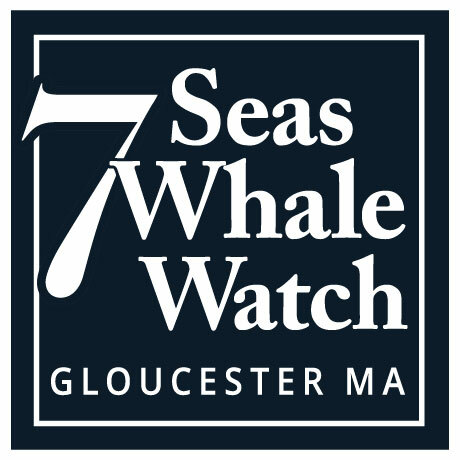 Whales are found in the coastal waters near Gloucester, MA for one primary reason: to feed. They come here to avail themselves the massive number of schooling fish such as herring, sand lance, mackerel, copepods, and krill that breed in or migrate through these nutrient rich waters. Some of the larger whale species, such as Humpback Whales and Finback Whales, can consume over 3,000 pounds of fish per day! These whales don’t remain in the area all year long, however. Many species of whales live a very highly migratory lifestyle, and each year will migrate back-and-forth thousands of miles between their feeding grounds here in NewEngland and their warmer-water breeding grounds to the south. While the whales are here in our area they are kept warm by a thick layer of fat called “blubber.” This thick layer of blubber that an adult whale has on its body (up to 10-inches thick in some species) could easily keep a whale warm/well-insulated all winter long even if the water temperature dropped to near freezing. So if an adult whale wanted to stay up here in New England and feed all Winter long it could, and in fact, some do. However, a newborn whale calf does not have this protective blubber layer and therefor must be born in warmer water in order to survive its first few months of life. This is why the majority of whales will leave our area in the late Fall and travel to warmer regions (such as the Bahamas, the Caribbean, and far offshore to Gulf Stream waters) to mate and give birth to their young. A feeding Humpback whale lunges to the surface, much to the surprise of a Great shearwater! Unfortunately for the whales, the warm waters of the Caribbean and tropical or sub-tropical areas have much less oxygen, dissolved nutrients, and upwelling than does the cold waters of Stellwagen Bank National Marine Sanctuary. Therefore the Caribbean exhibits markedly less productivity than New England waters and consequently does not have the massive schools of small fish species that the whales need to survive. This means that the entire time the whales are in the Caribbean during the winter months they are fasting… they eat little or nothing for up to 5 months at a time! During this long winter fast an adult Humpback whale may lose up to 25% of its total body weight (up to 20,000 pounds!.) In the spring “our” Whales must migrate back north to the Stellwagen Bank area where food is more abundant and they can replenish the weight that they lost during the Winter. They spend the Summer building up a new supply of energy (stored fat) for the next migration and next winter’s fast. That is a year-in-the-life of a great whale. The migration undertaken by Humpback whales each year equals a round trip of up to 5,000 miles, one of the longest migrations of any mammal. The food that the whales find here during the Summer fuels that great voyage.